Why Blog Posts Were Not Shared And Commented? Many newbie bloggers and some older bloggers were wonder why blog posts were not shared and commented by their audiences. There were some reasons which force users to shares and comments on your articles. The below tips are some of those reasons.. Most of the people love to read educational articles which are fresh update information. They could learn about new knowledge which gives them the more experience and expertise learning. They may want to share those value information or educational articles to their friends, colleges, and families since it valuable expertise development. That is a simple reason why blog posts were not shared and commented or nothing at all. The readers will enjoy and share you articles, if you have written a quality post which included above benefits of learning. How many friends in your social media connection? And did you have a strong relationship with them? Well, private relationship is majority reason of why blog posts were not shared and comment. I have 2k+ follower, 2k+ fans, and 1k+ friends connect, especially I have built strong relationship with those peoples. Whenever, I shared some information into social media profile they always help to spread my information by shared and commented on the posts and make it popular social release. Therefore, to build a stronger relationship will configure out the problem and give you the answer why blog post were not shared and commented by other people. I suggested you to spend at least 30 minutes to 1 hour daily to the community with others friend connect through to them and talk about some social relation. Some blogger just share only links which make other people complicated and wondering about what inside the link. Moreover, links could attract other social media users. Now a day most of the people are very busy with their current job, thus they will never waste their time to click on some links and no valuable information. The time constrain is another important reason of why blog posts were not shared and commented. Actually, most love to keep working and don’t want to interrupt their work without any benefit such your link. To make those people skip their value time to click on your link you have to put some call actions such as added attractive image and brief information about value content inside the article. Social media strategy is like WTO trading. None membership traders will gain less benefit from doing international trading. You know there a group call CommentsDX which all members could exchange some comments with other members and gain the value of sharing to post of each other. When you ask a question why blog posts were not shared and commented, you should ask yourself that did you joint any networks or groups which benefit for increase more blog comments and sharing. When first time I start integrated social media as marketing strategy, I am afraid to share other bloggers and competitors posts. I am really wondering about my audiences will move to other bloggers or to my competitors websites. But absolutely no, sharing other bloggers or competitors post will make audiences love you and enjoy more big resources of information entire your social profiles. Sometime your post will be shared and commented by others since you always like or commented them. Thanks for reading my tip: why blog posts were not shared and commented. I think that it may not a unique idea to increase more share and comments, but I think that these above tips are still working. I believe that it will benefit for newbie bloggers to implement social media strategy. Did I missed any point? 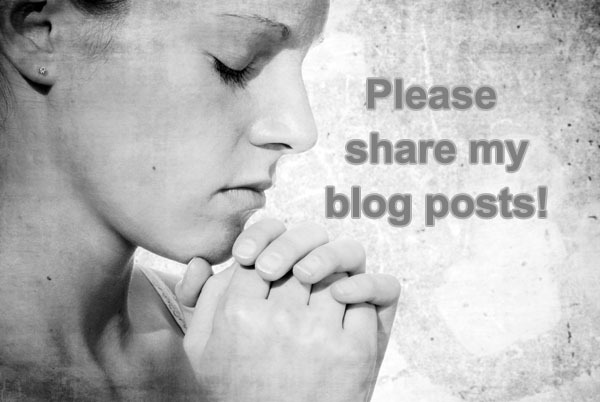 Are you getting good comments and shares on your blog post? 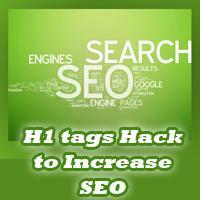 Are you searching about help Making Your Blog Visible To Search Engines then you are right here. here are some steps. follow please. If you’re into blogging, it is important to know how to get your blog noticed, otherwise you won’t get that much readers. Below are some of tips I’ll be sharing on making your blog easily visible to search engines, so it’s easier for you to increase your audience. 1. 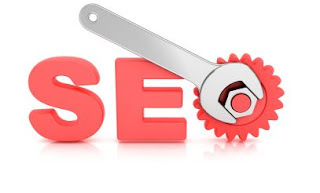 Submit your blog to different and reputable search engines like Google and Bing. It’s one of the simplest ways to effectively increase visibilty to your readers. You can also create sitemaps. 2. Adjust your blog’s privacy settings. You need to set the privacy settings to public and allow search engines to index your blog so it can easily be visible. 3. Select an attractive and unique blog template. The site’s appearance is the first thing a visitor will ever see, so by having a beautiful, clean and sleek design, you can attract more followers. But be careful in selecting a design. Pick the theme that will mostly help convert your posts. Go for a more professional look if you want to promote your brand. 4. Use social networking and bookmarking sites. Social networking and bookmarking sites have the power to connect to a lot of people all over the globe, so use them to your advantage. Sites like Facebook, Twitter, Google+, etc. are especially useful tools in expanding your network. 5. Update your blog often and regularly. If your blog has been noticed already by viewers, you need to populate it with fresh updates on a regular basis so people will always be looking forward to visiting it. 6. Interact with your readers. Constant interaction and activity with your audience is a must if you want your blog to get noticed. Allow readers to post comments on your posts and reply to them. This increases your blog’s chances of being visible because of keywords written by your readers. a lot of other tips and tricks like how to add more blogger widgets, add social book marking baar, add new sidebar, add facebook lik box , post google adse inside or below the post title , google adse between post,Horizontal manu bar for blogger, image slider for blogger, flash for blogger templates, and a lot of other tricks for blogger users.